It feels uniquely satisfying, escaping the suburbs and slipping anonymously into the Toronto subway. Three dollar tokens, worn red seats and newspapers strewn on the floor, the trains are a time capsule from the seventies. I am meeting up with my cousin Christina, a born and bred Torontonian and my guide for the afternoon. At Bathurst station the cold becomes apparent as I step outside, waiting by the throng of bicycles underneath its concrete canopy. Our rendezvous is the Annex, a hip, bohemian neighbourhood peppered with vivid murals and second-hand bookshops. When Christina arrives ten minutes later we set off to Insomnia, where Sunday brunch takes the form of eggs benedict, avocado sauce and a side of sweet, perfectly roasted home fries. Far removed from the autumn chill, I warm up with a hot cocktail of brandy and coffee liquor. My late grandfather would have been proud. “Toronto is spread out,” Christina tells me, “but it’s actually walkable if you try.” An hour later we have turned off the north side of Bloor onto a leafy residential street. This is the other face of the Annex, a haven of stately houses in red brick, sporting corner turrets, wooden balconies and porches that would prove inviting on a lazy summer afternoon. 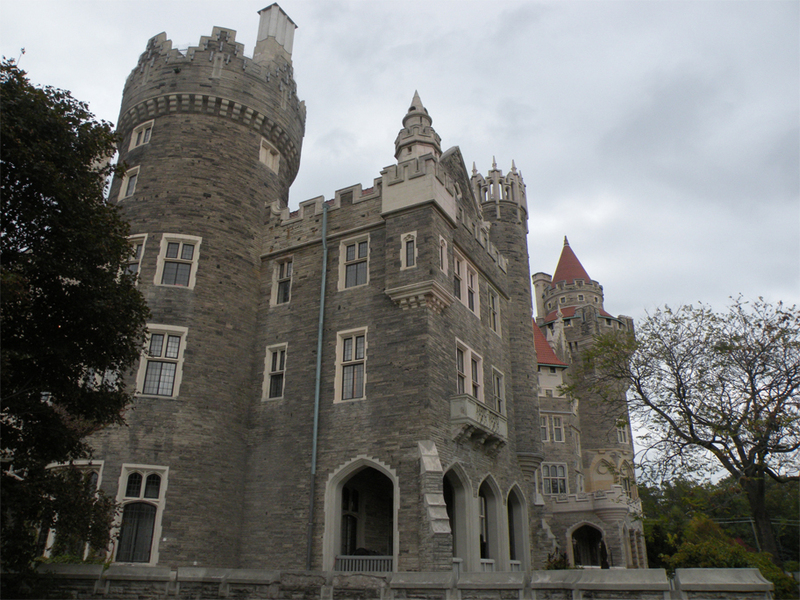 Our destination is the Casa Loma, a romantic fantasy that triggered my imagination as a childhood visitor. Once the largest private residence in Canada, the luxurious mansion was commissioned in the early 20th century by Sir Henry Mill Pellatt, a financial magnate, pioneering industrialist and prominent military man. Pellatt would only enjoy his comforts for less than ten years, before being forced to abandon his beloved casa after going bankrupt. At first it is slightly lost on us amid all the eager camera flashes. But suddenly it dawns on me that Casa Loma is a house straight out of Cluedo, fitted with corresponding room names and a pair of secret stairways running between the main floors. 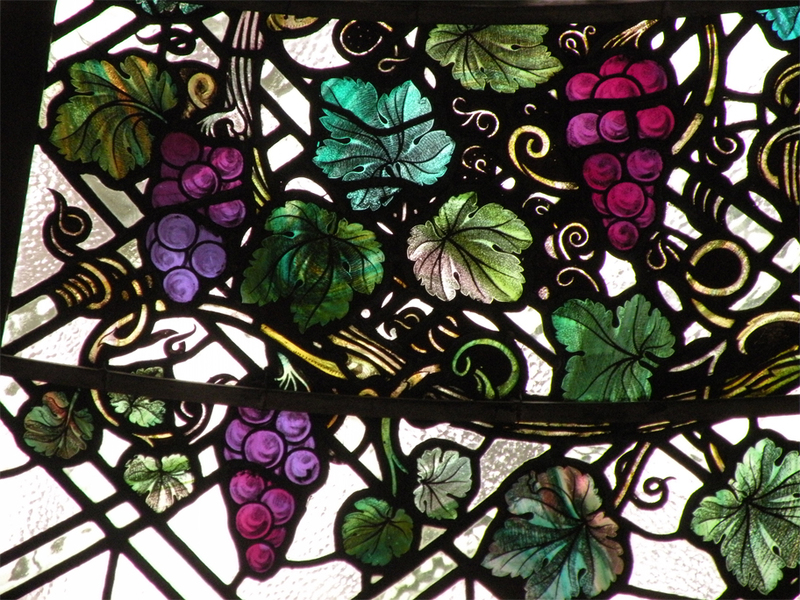 Inside the conservatory I crane my neck at the domed stained-glass ceiling, dripping with images of the hanging grapes and vines I’d seen at Niagara. Sneaking up to the upper level, we gape at the size of Lady Pellatt’s suite, and stare longer still at the marble-clad bathroom, appointed with luxurious curtains and a spacious brass rain shower. But it’s not until we spot a pair of staircases to the attic that the house takes on the full persona of a murder mystery mansion. 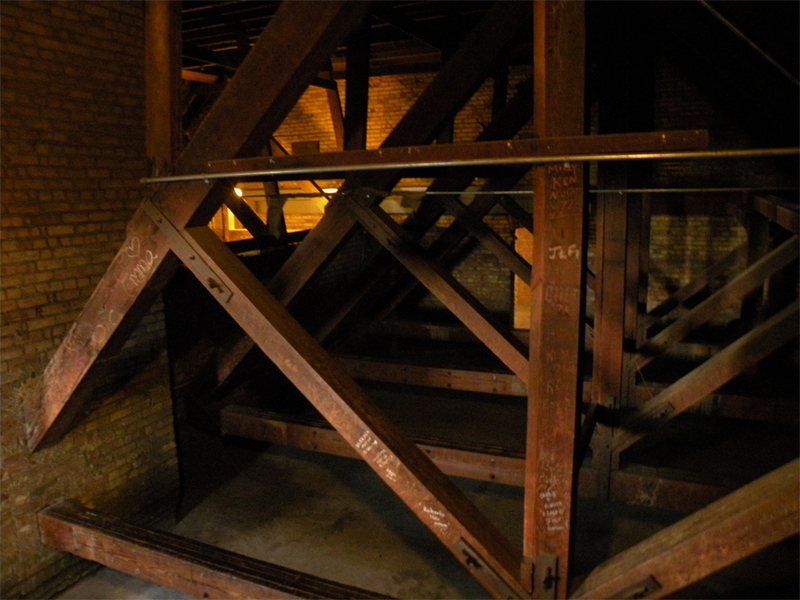 Below the rafters we duck our heads, walking between the sturdy support beams until the next set of stairs leading up the Scottish Tower. Leaving the wonders of Casa Loma behind, we saunter down Spadina Avenue, passing the main campus of the University of Toronto and the grim-faced exterior of a former military hospital. It sits marooned in the middle of a traffic island, a solitary spire pointing menacingly into the overcast skies. Moonbean Coffee Company is the sort of place where students come to study, the music is eclectic, and regulars buy micro-roasted beans that come in an astonishing range of flavours. They carry names like Midnight Darkness, Forest Whisper and Tiramisu. I come close to ordering a thick slice of chocolate cake, before reminding myself that a Cantonese dinner awaits in the suburbs. Instead I settle for a caramel latte by the window, sipping it slowly as night falls on another Toronto weekend. Over the next few days I am constantly drawn back downtown. I spend my final leg of the trip perusing the stalls at St. Lawrence Market, being swept up in the evening commute outside Union Station, and marvelling at Daniel Libeskind’s extension to the ROM (Royal Ontario Museum). After countless trips to the city I finally manage to hop on the streetcar, observing life on the pavement as it whizzes past the lights of Chinatown. Toronto, I realise, is far more interesting than I once thought. Thanks Minh! Happy New Year to you too!! Great Blog, looking to travel Canada next year just havn’t a clue which city is best to work in! Loving the art and culture you’ve shown in Toronto, looks fantastic! Great pictures of a gorgeous place. My son has just been to Toronto. He loves it there. I must see more of Canada. Toronto may not look like much at first, but once you scratch the surface it’s a fascinating city to explore. Thanks for heads up, I never thought that caving could be done so close to the GTA! I like the idea of Toronto as an exotic locale. I think it needs a few more nut, chocolate and rainbow sprinkles added to its single scoop of vanilla ice cream to get there though. I think it may have a future as a ‘rogue vanilla’. I’d say Toronto is well on its way to becoming a quirky, offbeat sort of destination. I really loved the patchwork of neighbourhoods and the incredible diversity of its people. Toronto is only about an hour-and-a-half from my neck of the woods, so I try to get up there when I can; the city rocks! Arts, culture, comic stores, conventions, they have EVRYTHING!! Absolutely. I used to visit once a year growing up and it’s been amazing to see the little changes every time I return. You’re more than welcome. That photo is one of my favourites from the trip. Thanks for commenting! Beautiful pictures! The street art is amazing and I love your photos of the museum, what a great angle. Thank you Carlie. 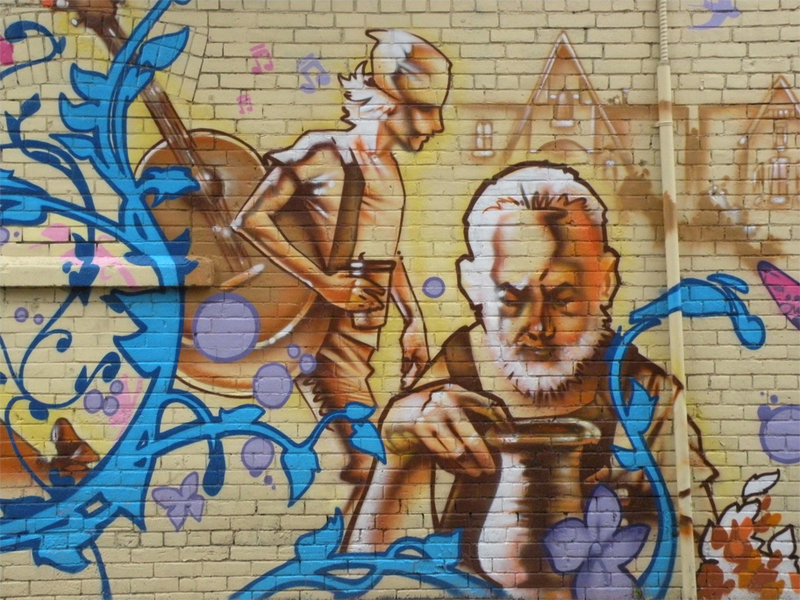 I definitely enjoyed seeing the grungier (and more artistic) side of Toronto! Nice post! I miss home now. That’s the thing – we don’t usually appreciate a place until the day we leave it. Cute post….It’s my hometown, which I left in 1986 and revisit 2-6 times a year. Toronto is a hugely sprawling city but glad you got to see the Annex, which is worth a visit. The St. Lawrence Market is an absolute gem as well. Next time, no matter the season, take a $6 ferry and cross the harbor to visit the Toronto Islands….Fantastic views of the city, especially at sunset and lots to explore and enjoy. I got married there last September (there is a church from 1888), and it was perfect. Going to the Toronto Islands was the one thing that I didn’t manage to do while I was there. But at least it gives me a reason to return sometime soon. Thanks for the tip! My wife and I visited my sister, who lives in the Annex, a couple of summers ago. Fantastic neighbhourood! I regret not applying to U of T back in the day. If you haven’t already, check out the Scott Pilgrim series – there are tons of Toronto references and Casa Loma features prominently in Volume 2 I think. I haven’t read Scott Pilgrim but I watched the film early last year. Loved the way it portrayed Toronto, on a subconscious level it might just have convinced me to return to Casa Loma. Thanks and congrats on being FP! Casa Loma will surprise you – it’s expensive but totally worth it! I known Toronto by its iconic CN tower, and some cricket matches few years ago, but your blog has represented the place with its art and modern sculptures. I think most visitors to Canada don’t really give Toronto the time it deserves. It’s a very up-and-coming sort of place with a vibrant arts scene. It is, Ryan. And an underrated one at that. When I stumbled across it I just knew I had to get a picture! Great post! Makes one yearn for a holiday. I especially like the painted-on walls and the fruit market. Real tourist stuff. Nice photography! I loved the reflections in the separate ponds. The reflections were a happy accident. I just sort of looked down and saw the perfect photo-op. Wow, judging by the locations of your pictures you must have burned 10 000 calories that day from walking! Although I’ve mastered the dead-pan subway stare, I’m still impressed every time the subway rolls over the Don Valley, just like I was as a kid. Great post, makes me remember the things that make me love this city. The truth is that those photos were taken over three separate occasions. You’ll notice that some pictures have cloudless blue skies while others are overcast. However I did end up walking from Parliament down to St Lawrence in one go! Looks like a beautiful place. On my list of places to visit. Toronto is a beautiful city, very green and diverse. It’s hard not to like it. Great article. Now i am in love with Toronto. Thanks so much. Good job. Beautiful pictures! I went to Toronto a few summers ago and was caught by an (apparently rare) tornado just after I had visited the Royal Ontario Museum!!! A very odd experience, at least for someone like me coming from Europe where such atmospheric events never occur. Did you take a ferry to the Toronto Islands? The view over the city was amazing. Great blog and congratulations on getting FP! Hope to see you on mine soon! Ah you see, the Toronto Islands was on my wishlist but I never got around to it when I was there! I can’t imagine a tornado tearing through the streets of Canada’s largest city… it must have been surreal. Thanks for the compliments, I’ll be sure to check out your blog! I love those first couple of pictures! Great urban art! Danke, love the humour on your website! Nah, that’s like saying New Zealand is a replica of Australia – which it really isn’t! Christina’s right – I’ve lived in the GTA my whole life and I’ve been to every place you mentioned (including Insomnia and Moonbean, yum and YUM!) EXCEPT Casa Loma. I’ve even walked by a couple times while campaigning for a political candidate. It’s been on my to-do list since I was a teenager. Fantastic photos by the way. Thanks for sharing. Before going in I thought Casa Loma was the kind of place that only kids would enjoy… but it proved me completely wrong! Avocado sauce? Count me in. Absolutely. Avocado sauce makes everything better. They really did a good job, didn’t they? Sounds like a great day. Beautiful photos! Thanks! For me that day was like an introduction to the real Toronto. 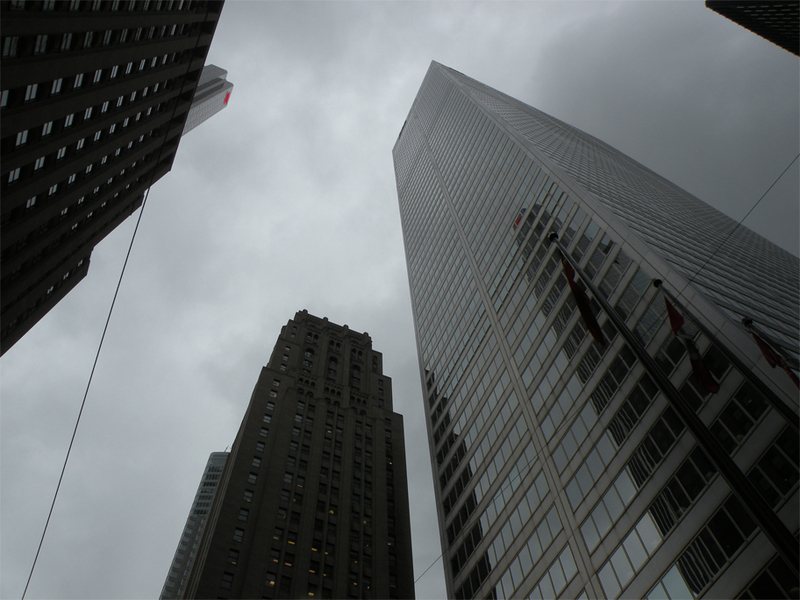 Toronto is an amazing city to photograph – clean with architecture/lines that any photographer would enjoy. I couldn’t agree more. There’s so much variety and so many neighbourhoods to cover, all with their unique characters. I’ve been to various parts of Canada but didn’t get to spend time in Toronto. It looks awesome. Great pics. I’d say Toronto is a great place to jump-start any trip to Canada. Thanks for reading! I love your style of writing. Thanks for making my city sound so exciting! I have to check out Moonbeam now. Thank you Barbara, someday I hope to be a travel writer so I’m taking it one article at a time. You will love Moonbeam! 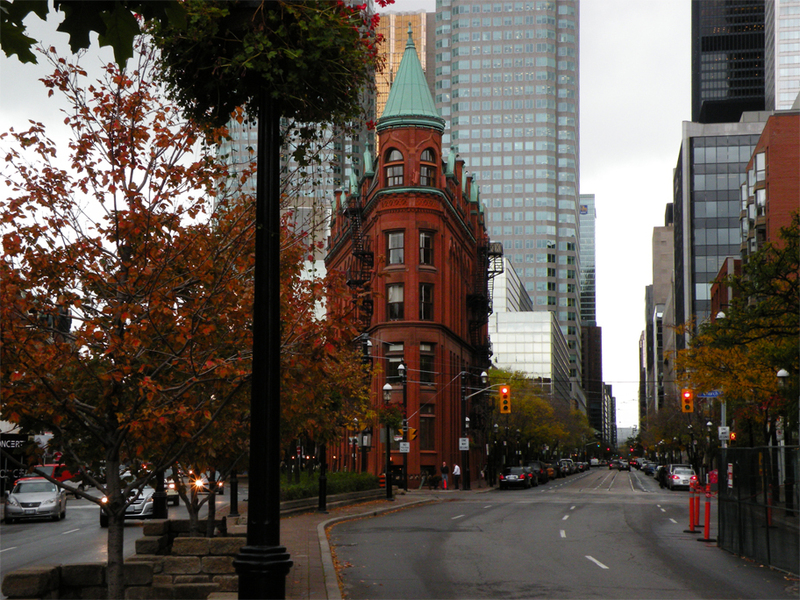 Toronto has a ton of architectural gems – you just have to know where to find them! Thank you! 🙂 Toronto is like a second home to me, I used to come over here every summer! Interestingly, it wasn’t until I moved to Toronto that I visted Casa Loma — the place is simply amazing. Thanks for making my city look so wonderful; it truly is. I’ve been living downtown for about four months now, and I’m already starting to get that “meh, I can do it tomorrow” attitude. Your post has encouraged me to travel more, even if I am to spend the next four years of my life here. 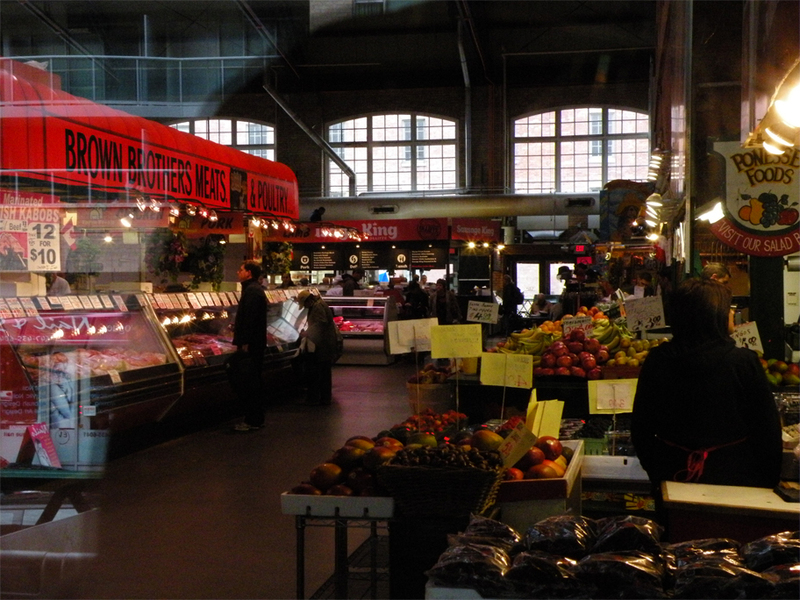 I am off to see the St. Lawrence Market tomorrow morning! Go explore! I spent nearly five years in England and now I regret not travelling more when I had the chance. Have fun at the market – it’s one of my favourite places in Toronto! my hometown…i was just thinking yesterday how lucky i am to live in one of the best cities in the world. cheers! These are great photos. You saw some of my favourite places in Toronto – I assume you were not in Kensington on a weekend. There is no room to move there on a Sunday afternoon! There are so many amazing neighbourhoods with great places to eat and walk and photograph. You can never see all of Toronto. Actually, I was at Kensington on a Sunday afternoon – but it was really late by the time we got there, it must’ve been around 5:30 or so. But that was the day of the Waterfront Marathon so it might just have been quieter than usual. Those are awesome pics! City hall reflected in the pool is a keeper. I love Toronto too. Been here since 1993. But I do not view TO as world class by any stretch. Regardless, It’s my playground. I love wandering around with my Canon Powershot A1100 IS, which is never going to deliver the super pics your camera delivers. But I like it all the same. Moonbean? I was not impressed with the very popular Moonbean. I don’t hit up Kensington Market often, but there was a new indie coffee shop in there that looked like it had potential. I’m talking about Pamenar on the east side of Augusta between College and Oxford. Also downtown, A few awesome indie shops, if you’re interested, are: 1. Jimmy’s (just north of King on Portland) 2. Little Nicky’s (just south of Queen on Peter St) 3. Bisogno (on Sherbourne just north of King). Actually I’ll let you in on a secret… those pictures were all taken with a point-and-shoot – I used a Nikon Coolpix P80. Nothing fancy at all! And thank you for all the directions, I’ll see if I can hit up those indie shops the next time I’m in town! Thanks for sharing! Can’t wait to visit someday! You’re welcome – Toronto is well worth it! The wonder of “Freshly Pressed” sites such as this, is that it gives one the opportunity to visit places in words and pictures that they may never see in their lifetimes. Thank you for sharing in the effort it took to put this together. There are times I seem to tire in the effort of just posting new written poetry work on my own WordPress Blog; then seeing sites such as this makes me realize my daily efforts are small compared to others. Choosing the photos was the easy part… writing the article itself took a lot of time and careful thought. Although I would have liked to write it all in one go there were times when I just had to leave it for a while. For me one of the most difficult aspects is narrating my travels in first person – it can so easily become both clumsy and repetitive. Been planning a visit to Toronto lately, great to see some pictures from a “real life” perspective, and get an idea of place. That’s what interests me the most when I travel – I try my best to experience places as they really are, off the well-worn tourist trail. The pictures of the graffiti walls were very nice! Great post. I love Toronto, but I haven’t been there enough to explore it as much as I’d like. Don’t know when I’ll get chance to go back, but until then I guess I can live vicariously through blogs like this! I used to have a habit of going to Toronto every year to visit family. It’s amazing how many things you discover when you go back for seconds, thirds and so on. I love cities where you can walk to most places… stopping at cafes and restaurants, you can really soak up the atmosphere. Sounds like you had a perfect day! I have wanted to visit Toronto for a long time… I have met a few Canadians here in the UK and they are such friendly people! I’d say it was probably one of the best days on my trip! You will love Canada… it’s got so much natural beauty and as you said, the people are really warm and welcoming. Congratulations on being freshly pressed again! Thank you Deb! It’s my first time being on FP so I’m more than a little overwhelmed! I thought you had been FP’d before. It is great fun. You do beautiful work. Great photos. My younger brother went to Toronto several years ago on a whim and had a blast. I hope to visit sometime. You should – Toronto has something for everyone. We agree, Toronto is a great city, accessible and diverse. Our favorite area for dinner was the Esplenade (http://jlheuer.wordpress.com/2011/08/22/dinner-on-the-esplanade/). Hope to go back again soon. Wow, the Esplanade looks like something I’ll have to visit the next time I go. Thanks for sharing! You should work for the Toronto Tourist Board. Nice job. Beautiful pics. I wish that I could agree about Toronto, a city I once loved. Over the last couple of decades it has become a wall of towers. Along the lake, North York, Mississauga, and now the plan to build a series of towers along Dundas Street from the Kipling Station to 427 highway. Developers have taken over the city and turned it into a ghetto. I can see what you’re getting at – even just a few years after my last visit I noticed a lot more condos, more faux-stone townhouses in the suburbs and an increase in the amount of traffic. I’m not against skyscrapers per se but development has to be sensible; it needs to accommodate the city’s unique range of neighbourhoods. You have a great eye for beauty! Thank you. You have an eye for life! Love the photos. Thanks Tammy, I’m glad you enjoyed them! very nice post and great pictures. thanks for sharing. love your photos and the way you write! congratulations for being on freshly pressed! Thanks Sacha, I still can’t get my head around being on FP! Great post! I’ve just been rediscovering Toronto as well with a friend who now lives there. So much I didn’t take notice of before. It makes such a difference when you have a local taking you around! Very nice work and a beautiful city too! Thank you – I’d love to visit Brazil sometime! Lovely photos. It would be nice to see captions for more details about each photo. Thanks for the suggestion – I’m not terribly good at writing captions (they usually turn out very dry) but I’ll definitely give it a shot in the future. I liked how you saw it entirely from a different angle – blessings to you too! I am from Toronto but now live in Spain. I was home back in 08/09 and it was great to see how much the city had changed and yet stayed the same. Nice pics! Ah, Spain. It’s the reason I started this blog in the first place. I moved to Salamanca in 2010 and stayed there until last July – when the time came to go I left very, very reluctantly. Disfruta la vida española while you still can! 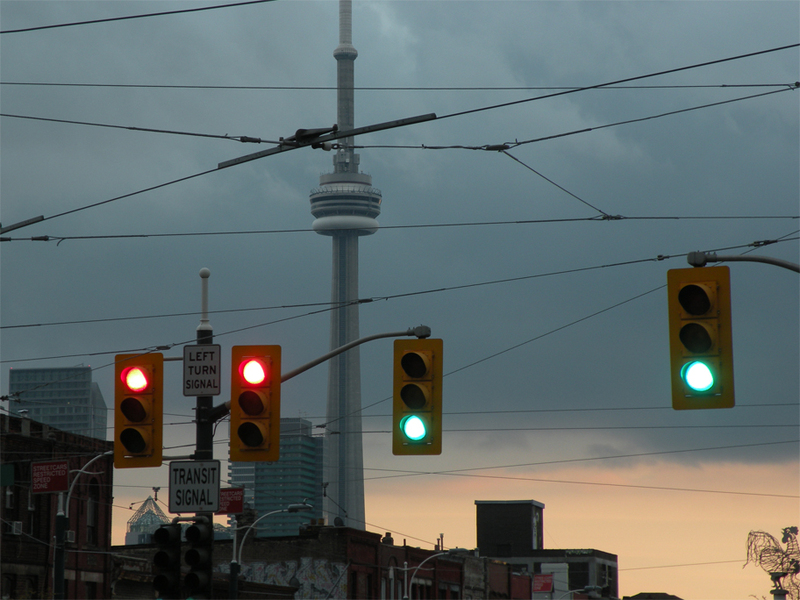 You have a good idea for photography – evidenced by a shot a lot of people would never take, of the traffic lights. Juxtaposed against the darkened sky, the photo becomes a work of art. Wow, that was very flattering – I sort of came upon that one by chance, all of a sudden I looked up and saw the CN Tower behind those lights and overhead cables. There was once a time when I thought Toronto was boring… but that was entirely my fault for sticking to the suburbs! Awesome post! Thanks for visiting and showcasing the beautiful city I live in! Come back and visit and congrats on being Freshly Pressed! You’re welcome, I’ll certainly be back for more! I try my best. 😉 Thanks for dropping by! I am new to Toronto and I love the things you discovered on your adventure. Truth is, I used to visit almost every year and then I got jaded – but that was mainly my fault for spending 90% of the time in the suburbs! This trip changed all that. Thank you for sharing your adventure in Toronto. I do not know as much as I should about Canada. Your pictures are beautiful! I enjoyed the one in which the sky’s colors were split into gray and dark pink. It gave a different look to traffic lights! You’re more than welcome. That photo is one of my favourites, I love the sheer contrast, the tangle of overhead cables and also how it shows the CN Tower. Fabulous photos!!! And a nice verbal tour of my home city. Makes me re-appreciate it through your eyes. Thanks James! I’ve been to Canada many times, but I’ve mainly been confined to Southern Ontario, a bit of Quebec and BC. Someday I hope to take in the Maritimes and all three Arctic Territories. Dammit, I’ve missed few of your posts!! You know, in this season I use to be always really busy. I cannot even update my own blog lol. Ahora mismo me pongo a leer todos los post que no he podido leer aún. Y Feliz Año, amigo mío 🙂 I wish you the best for 2012! By the way…Have you recently been freshly pressed? I’d swear I saw your blog PLUS ULTRA not long ago in the freshly pressed section… If it is yes, congratulations, te lo mereces amigo! No te preocupes, yo también estoy muy liado y tampoco tengo libre para postear frecuentemente. Muchas gracias, te deseo un año lleno de alegría! Sí, sí, I was Freshly Pressed yesterday, much to my great surprise – I sincerely thought I was dreaming! I left without commenting anything about the post lol! But, it is always the same, just stunning pictures my friend 🙂 You really got a talent for photography. Si, tuviste la oportunidad de visitarla en tu estancia en España? Wow! Great photos…it was really hard choosing a favorite! LOL…although I’m a sucker for color and loved the wall art (refined graffiti), I absolutely loved the buildings reflected in the group of puddles – looked surreal. Thanks for sharing part of your trip to Toronto. Looks like a great place to visit, especially with family as your guide! You’re welcome – I’m flattered that you enjoyed it so much! I had no idea there was architecture in Toronoto that was so unique and beautiful. I want to visit the Castle too! My girlfriend and I have been planning a trip, for a while now, to Canada but we keep putting it off to do other things like backpack down California’s Highway One or (what we’re saving for now) a big trip to Belgium and Germany. This post, though, makes me want to revisit the prospect of our Canadian escape and forward our putting a pin in the map, so to speak. Thanks for the post, the great pictures, and the mental vacation! Toronto’s full of hidden little gems – do visit the Distillery District when you get there, it’s different from Casa Loma but you still get a strong sense of history. I didn’t make it to Cabbagetown this time, but I’ve heard a lot of great things about the area. The Film Festival sounds amazing – I can imagine how glamorous it must be! I was expecting to see snow and ice in your photos of Toronto. I lived near Toronto during the fall of 1986. Judging from your pictures, the city has changed dramatically since that time. My father tells me there was a lot more snow cover when he lived there as a college student. I was there this past Thanksgiving and the mercury soared to record-breaking temperatures, it was like a second round of summer. Love the mansion. There is something awe inspiring about the way these people once lived. It seems that there is just not as much of it these days. Those who are rich are still rich but there are more of we poorer LOL. Great shots. That’s a good point – while in Toronto I passed the Occupy Movement camped out in a park downtown. I guess the wealth gap is becoming a lot more visible in this digital age. Thank you for the virtual tour of Toronto. If you would like a virtual tour of New York you can view my blog at http://germch55.wordpress.com. You’re welcome Gerard – thank you for reading! Agreed – it’s hard not to like Toronto. I’ve always wanted to go to Toronto. I actually used to have dreams about being there! Thanks for the post and pics! Let’s hope you make it there sometime soon; in a way Toronto is like a more laidback, Canadian version of NYC. Great post. Wish you had captured images from brunch – it sounded delicous! Oh, it was amazing. Eggs benedict is one of my favourite comfort foods! Great post! Great pics! Love my city! Aaaah, the Toronto subway – venue of my daily commute! This is a fantastic look at the city I live in. And now, twelve years after moving here, I’m thinking it’s high time I paid a visit to Casa Loma! I gotta admit, there’s something rather appealing about the grittiness of the subway. Casa Loma is fantastic, there’s just so much to explore! Wow, thanks for making my hometown look so groovy & cool, lol. Your pictures are gorgeous, especially the way you captured the cityscapes in the reflections. When I hop on the Spadina streetcar tonight, I’ll look at the passing scenes with fresh eyes. Thanks again! You’re welcome. Toronto is definitely groovy and cool, I guess when you experience it on a day-to-day basis the tendency is to see it as completely normal. Glad you enjoyed the post! I am a Torontonian, and I didn’t even recognize the beginning spots of your blog post! AMAZING! That’s what I love about this city…how big it is, and yet conquerable if you put your mind to it. I love Casa Loma. I’ve been there two or three times in my childhood but definitely – like you and Christina – don’t remember much. I love everything you’ve captured here…wonderful. I agree, Toronto has the feel of a big city but you still get the coziness of each neighbourhood. 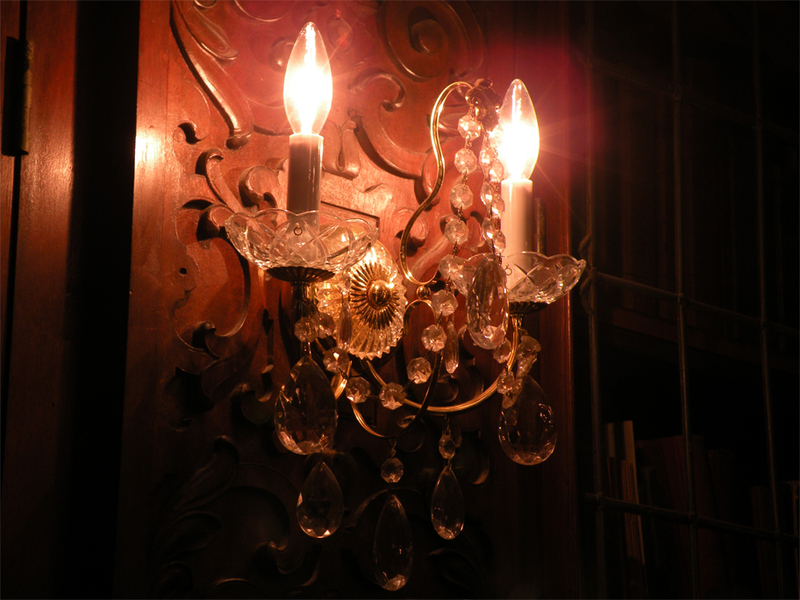 Do revisit Casa Loma – it will take you back to your childhood and then some. 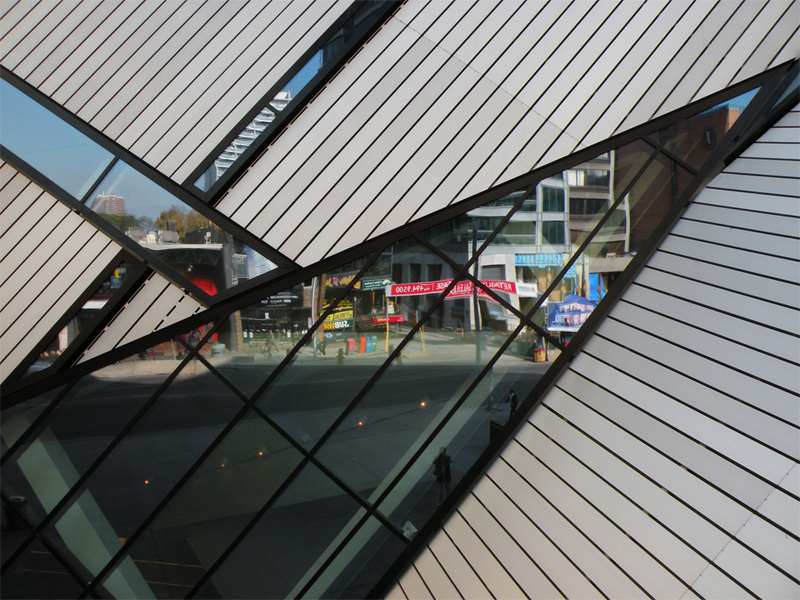 Nice shots of the ROM. I don’t think I’ve been inside for about 15 years, however, I’ll make an effort to check it out again soon. I really love the contrast between the Crystal and the original ROM – it’s just as strong on the inside with the whitewashed walls and zigzagging lines meeting the antique brick of the main building. Really like the architectural design of the museum. I do too; it’s classic Daniel Libeskind. The ROM extension was not yet complete when I last visited. Lie, it was, but I didn’t get over to that part of town. I’m going to have to make a point. It looks better than the plans did. I didn’t see the renders but I was hugely impressed (and still am) the first time I went back in 2008. I love the pictures…. Especially the street art (because I am bias) and really like the city hall reflection! It’s perfect! I live in Toronto and I LOVE my city! I am constantly finding new things and always amazed by my surroundings! 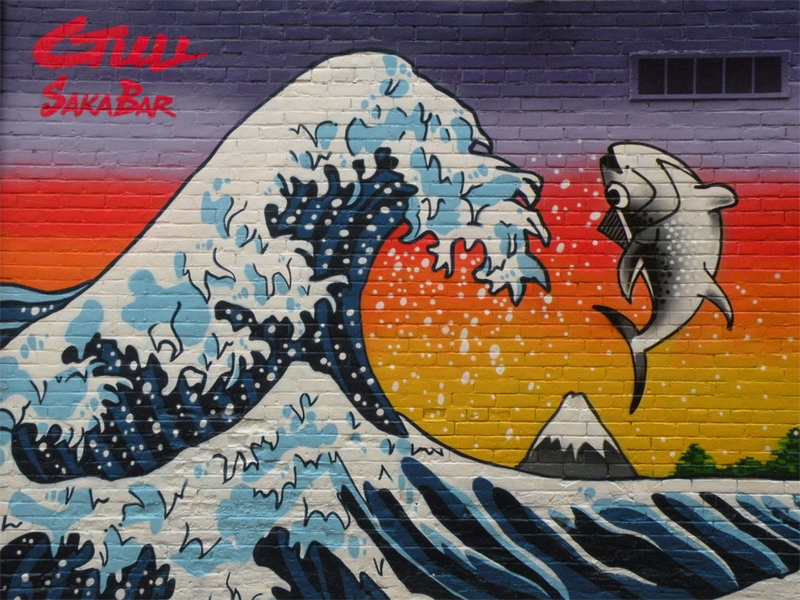 Since you included street art you should really take a look at my blog… Maybe it can inspire you to find some more great places next time you are back in Toronto! Toronto has some really fine street art – I love cities with a bit of a gritty side so it was a perfect way to end my trip. 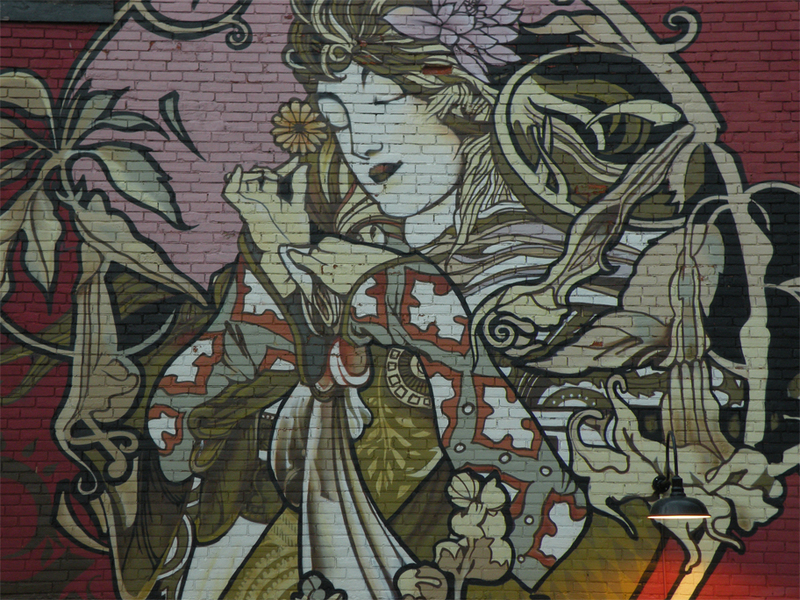 Wonderful post & great photos; I will have to keep my eye out for the Mucha-esque mural in Kensington Market–I can’t believe that I never noticed it before! Thank you! You’re welcome! The mural is literally right behind the Kensington Market Car so you can’t miss it. Thank you gypsy! 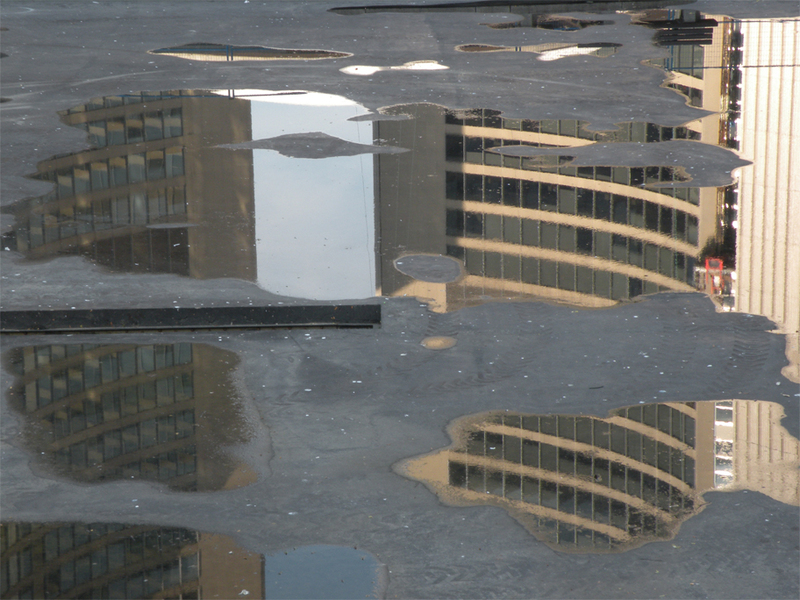 That one was taken at Nathan Phillips Square – the building you see in the reflection is Toronto’s iconic City Hall. I stumbled upon your blog and i was just like WOW!!!! Such a beautiful city. The pics brought back memories of my one week vacation in Toronto. I loved the trains(subway), the 360 restaurant and the bay area. It was just amazing all around. It’s fantastic that you stayed a week – a lot of visitors only use Toronto as an arrival or departure point for nearby attractions like Niagara Falls. Awesome photos and excellent accompanying narrative. I especially like the street art. Looking forward to more! Thank you Jack, enjoy your travels! planning a weekend in Toronto in the spring. You’re more than welcome, I’m sure that Toronto will be gorgeous in the spring! James, you’re adorable and so is this post! As a fellow Torontonian, I could not have been more proud by the way you’ve captured my city, kudos! Please come back soon! Aww thanks, that’s such a sweet thing to say! Toronto is like a second home to me, a lot of my family live there so I occasionally come by to see them. I’ll definitely be back in the near future! I’ve been to Casa Loma a long time ago. I’ve lived in Toronto for over 20 yrs. of my life and still consider it a home since my whole extended family still live there, all over Metro Toronto. Then went to Vancouver, etc. Good photos. 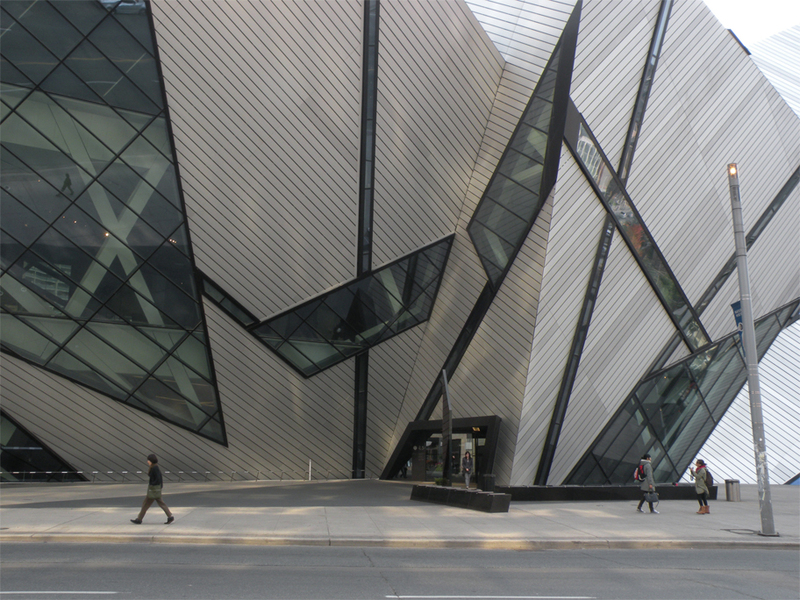 Yes, the ROM looks great (even thought I was abit shocked by the slight cheapness of finishes inside.) I have plans to get to the Art Gallery of Ontario, also fairly new. 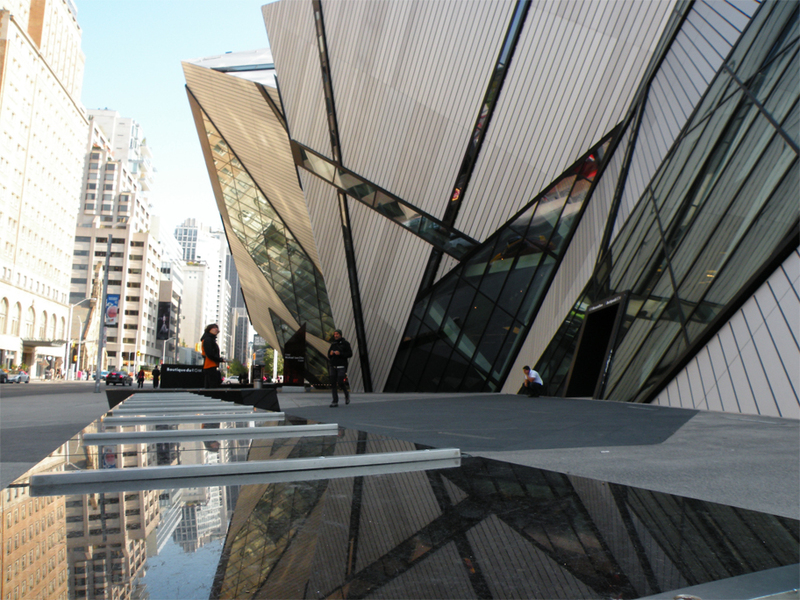 I too was surprised by the ROM… the exterior is definitely something else, but I wasn’t a fan of the interior either. I didn’t quite understand the function of the “Spirit Room” and the corridor right above that led to nowhere! 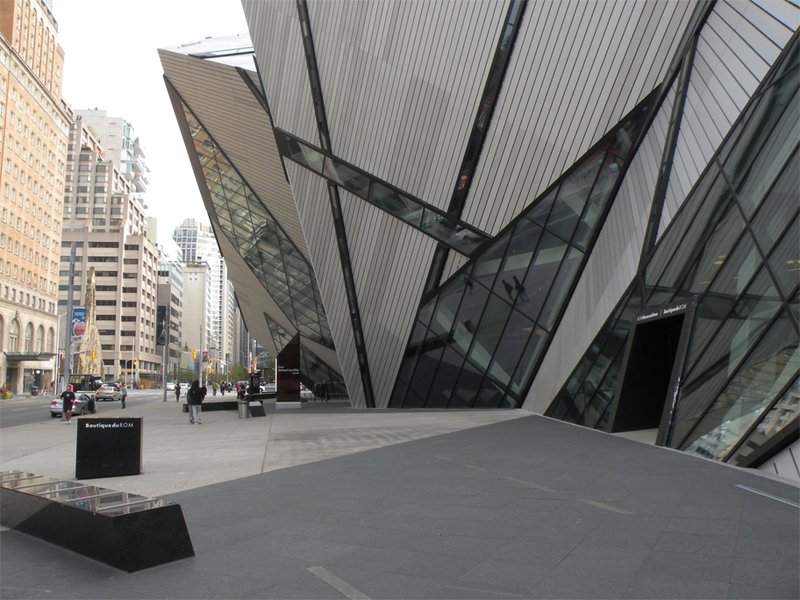 Personally I think the AGO was far better designed… I went a few years back and found the inside much more appealing. My hometown and favourite city in the world! Glad to see you got to see Toronto! Next time you visit (if I’m back from Sydney), I’ll give a tour of the other sites….non-tourist-y stuff! Great post. Thanks for the offer, Anika! I loved how Toronto was such a patchwork of neighbourhoods. But you haven’t been to Vancouver BC, yet??? I also lived there for nearly a decade and still go back to spend time several times per year. A wedding in Casa Loma? Wow, that will be quite the spectacle – I wasn’t sure you could even book out the whole place! Oh, I’ve been to Vancouver many times, but that was in the days before I had this travel blog. It was our usual pit stop for a few days (en route to Toronto) after the 12-hour trans-Pacific flight.